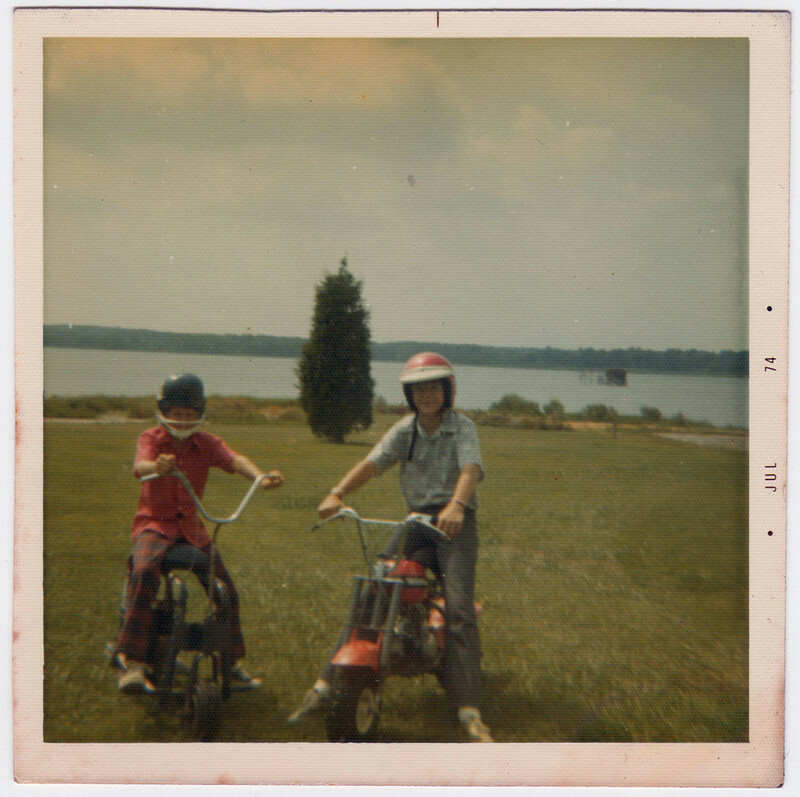 At 11 years old my first adventure on motorized two wheels. I was jealous of the neighbor with a shiny Honda 50 and matching helmet, so my Dad found a frame and added a Briggs and Stratton 5 HP motor with a lever throttle from a lawn mower (I don't remember brakes except engine braking). He painted it Blue along with a matching football helmet. 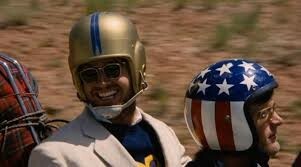 And the Easy Rider helmet!